Today we have a guest post from Ron Shannon, author of The Hedgerows of June and Gabriel's Wing. If you'd like to learn more about the author, please scroll to the bottom of the article. Who claimed his story ideas came from an elf? Or was it a place in Ohio? I’m not sure. I think they are both right. Sometimes it’s the elf and other times they come from anywhere and everywhere. A little muse captures a place in the brain and the idea is sparked. Sounds kind of romantic, doesn’t it? Well, it almost certainly is not. It’s just part of the deal. 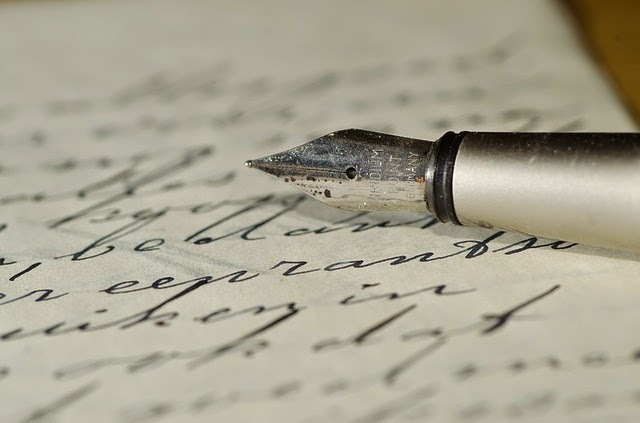 If you’re a writer you will have moments when you think you are utterly clever, but then, in retrospect, you’ll hope you never openly declared your powerful intellect. The idea process happens to be, at least for me, an accident without planning. I will discuss some of my personal experiences as it relates to getting story ideas and the creation of an underlying theme. Not that I think there is any great or particularly unique insight in my experience. It is, however, a process I know very well. I don’t know about other writers. For instance, I couldn’t imagine what possessed Mary Shelley to write Frankenstein. The story of what motivated her to write it is almost as interesting as her timeless classic. But what gave her the idea? Does she give it away with the novel’s subtitle The Modern Prometheus? Would it be safe to assume the idea came from her husband’s Prometheus Unbound? How would I know? I never understood Prometheus Unbound, but I did understand Mary Shelley’s Gothic story. It’s been a while since I’ve read it, but I still wonder about the creation scene. It’s not as dramatic in the novel as it is portrayed on the screen. Or is it? I know, I was going to talk about my experience and there is something I wanted to share about how ideas come to me. Yet, I had to wonder about another one of my favorite novels, Charlotte Bronte’s Jane Eyre. Is there an autobiographical stirring inside the author that spawns a tormented young girl who grows and matures into a tragic young woman? Does the life of Jane Eyre reflect the imaginings of another young woman isolated somewhere near Yorkshire, England? Again, I wouldn’t know, but it would make sense. I wonder if the bravery is written to satisfy a need. Didn’t Charlotte survive her sisters Emily and Ann? Did she know or have a premonition of how her life would end way too early? Or am I romanticizing something that had a much humbler beginning? The idea could have been just a thought, just an elf sparking a few brain cells. I did have a few thoughts about my experience, but as I remembered Jane Eyre I couldn’t help but think about Daphne Du Maurier’s classic suspense novel, Rebecca. Is it true Jane Eyre inspired this novel? 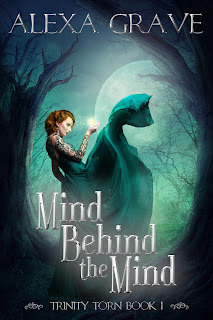 Does the new Mrs. de Winter’s dream about returning to Manderlay have anything to do with Thornfield Hall? If you read the novels with that thought in mind it would appear very likely. I had the notion there had to be a connection, but I had been influenced to think such things before I read Rebecca. What stayed with me was the flowing signature of the first Mrs. de Winter and the turning drive. I had the suspicion I had read the likes of such things before and it did come to me, eventually. Mary Stewart wrote Nine Coaches Waiting about twenty years after the Daphne Du Maurier novel. The turning drive in Rebecca and the zigzag in Nine Coaches Waiting connected the novels, at least for me. Did Manderlay or perhaps Thornfield Hall, both or neither inspire Château Valmy? Maybe it came to Mary Stewart while she was watching children play or when she thought about teaching a child a new language. I wouldn’t know. I only remark about how I connected all three novels and wondered if anyone ever thought about teaching them as a set. Would it make sense? Probably not. It’s just me making assumptions. I would never presume I would be able to suggest such a thing. So, here I am back to my experience. How do I compare my experience with such great works? I don’t. I merely state that I can daydream about how other writers come up with an idea for a story. It may or may not have anything to do with reality, but it is, undoubtedly, fun to speculate. As long as, and this is important, I recognize it as speculation and I don’t propose in any way that my musings have anything to do with something other than my musings. Oh goodness, I am avoiding the discussion of my experience. Probably because the discussion of another writer’s imagination is more interesting than how I came up with an idea for a story. I’ll try, however. 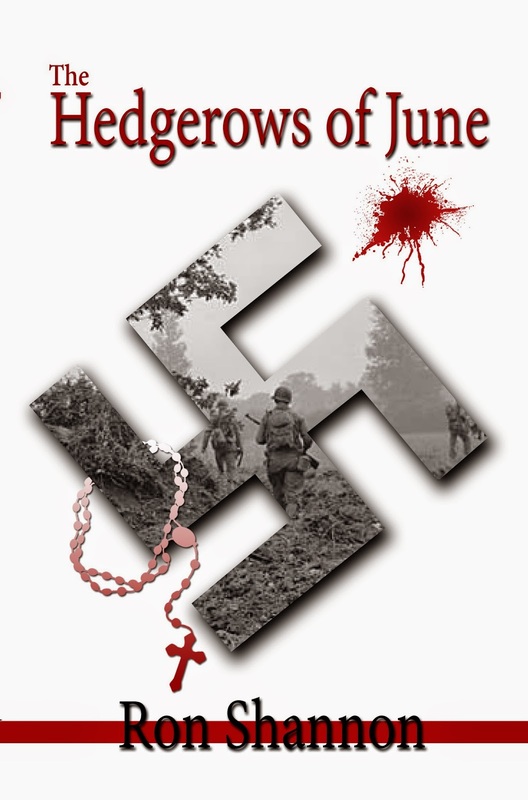 My novel, The Hedgerows of June happened as the result of a writing prompt. A writing prompt is a tool to help you think, but create a novel, how uninspiring could that be? But it’s true. I was taking one of those online writing courses. I won’t mention which one, it isn’t important. The prompt went something like: someone is about to take an ill-advised trip. I had to write a short piece, approximately a thousand words, about taking an ill-advised trip. I had nothing, but I started to daydream and I thought about the trip. It had to be dangerous. So playing a series of “what ifs” I thought about a war, a battlefield. I don’t know what made me think about World War II, but once I established the war I had no problem considering the battle. My game of “what if” created children and a woman, there had to be a love interest, but the interest had to be difficult. 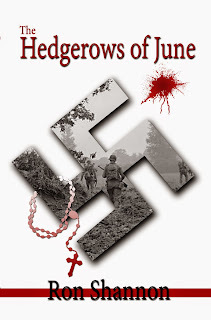 A nun must get four children across the French farmland known as the Hedgerows during a bloody battle. However, is she really a nun? The protagonist is convinced she is a nun. So why does he fall in love with her? 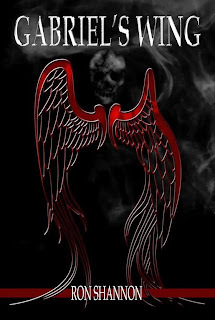 When I decided to write Gabriel’s Wing I knew I wanted to stay away from war and World War II in particular. I had a character I had written a long time ago. She had the nagging desire to have her own story. That was the motivation, but not the idea. I suffered over the idea. I cannot remember when or where it happened. I started to write some thoughts about the character. Who is she? What does she want? Nothing happened until I started to write her. I’m not sure how it came to me, but soon she had to retrieve something important. She runs into someone who can help, but he’s got his own problems. He must find a lost teenager. That gave me an idea: flower children, in the late 60s, lost in a web of evil. The point is that story ideas are not necessarily produced from something exciting. I recently asked another writer how she decided what to write and she told me she wished she could give me an astute answer about picking things from headlines, turning it upside down or whatever, and developing a fascinating story. She said the truth is she is about as surprised as anyone about how she gets ideas for her stories. I think there is a lot of truth in her sincere admission. I want to think the classic writers had revelations and influences and from those remarkable insights produced great works of art. But I have a feeling there was a bit of redirection and processing to get the ideas solidified. Whatever the method, the work is what is important. The influence of another great work would make it better. If it resulted from a need or desire, that would also be good. The idea is important, but the work is what people will read. Picture By 3268zauber With the days getting warmer (hopefully--if you live in Wisconsin like me, though, winter likes to keep knocking spring back down) many of us can't wait for summer. When the sun shines down on us, heating our bones. In spring, the sun starts peeking through the clouds more often and warming up the earth. And what color do we associate with the sun? Yellow! Yellow is a bright color, and as much as we love to see the sun after a long winter, yellow brings hope and joy into our lives. Need a little optimism or creativity? Yellow is the color for these as well. If you want to inspire yourself, perhaps set a picture of a sunflower on your desk or burn a yellow candle. When you're feeling sluggish and down, take a glance at your bright pick-me-up. There's another side to yellow, though. Calling someone yellow is an insult, labeling them a coward. It can also represent an impatient person or someone who acts rashly. And yellow is also used as a warning--the yellow in a stop light, as well as other street signs, bright to draw your attention. Yellow can also symbolize confidence, attraction, persuasion, enlightenment, betrayal, and madness. Don't forget to enjoy the sun during spring and summer because winter will be back all too soon! What is your favorite thing about the color yellow? If you'd like to read a bit more about this color, you can take a look at the following websites: The Color Yellow, Yellow Color Meanings, and The Meanings of Yellow. Buckland, Raymond. Advanced Candle Magic. St. Paul: Llewellyn Publications, 1997. NEXT UP: Guest Post from Author, Ron Shannon - "Creating an Idea for a Story"
You can find previous chapters and the current chapter on Wattpad. Lila's nerves start to get the best of her since she's forced to unclog her toilet before visiting her new neighbor. Not only is she sweating from the manual labor, but also from the thought of putting herself out there for more possible rejection. Not to mention, he could be a world class jerk. 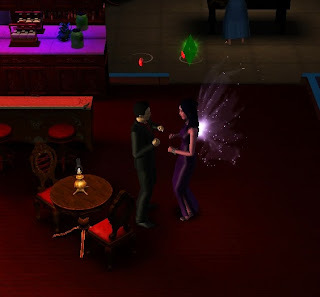 Silly fairy, getting her hopes up when she hasn't even met the vamp! Eventually, she builds up the courage to knock on Drake's door. The rumors were true--he's drop dead gorgeous, and her heart jumps into her throat and out onto the floor when she meets his gaze for the first time. He invites her in with a smile, and they talk about their interests as they watch some TV together. He's not a jerk! What a relief. But Lila can't resist flirting with him. She knows they just met. It's silly to think he might feel the same attraction. Insane, really. Her flirting is returned, though. Too good to be true? He could be a vampire just looking for a good time, not one in search of a lasting relationship. Then she realizes it doesn't matter. To hell with it. She'll take what she can get and enjoy it while it lasts. Lila spends most of the day with him, and their friendship and attraction grows. Drake is so much nicer than that curmudgeon firefighter! The day has to come to an end, though. And it ends perfectly--with their first kiss that makes her toes curl. When she arrives home, she can't sleep, thoughts of Drake tugging at her mind. So she paints the night away. In the morning, she regrets not getting more sleep and wishes she could spend the day with Drake again, but work beckons. One of these days she's going to be able to garden and paint to her heart's content without worrying about clocking in at a job just to make enough money to survive. She bemoans her messy house before she heads out the door. Perhaps it's time to call a maid. One fairy can only do so much! Even through her exhaustion, she makes an important discovery at work, one that earns her a promotion. It's nice to be noticed, first by her handsome new neighbor and now by her boss. Perhaps things are finally looking up for Lila. Will her good luck hold, or is this just the calm before the storm? I had it all planned to post a fun little April Fools' Day thing yesterday. Just something silly, like I've given up writing (hahaha - anyone who would fall for that would learn quickly I can't give up writing EVER...I'd die). But instead, the Universe decided to play a trick on me instead. My toddler came down with some type of tummy bug. Tuesday was filled with lots of barfing and piling up of laundry that still hasn't all been washed. And Wednesday she had a fever and was super clingy. Today, she's still a bit clingy, but the fever seems to be gone, and she's at least starting to eat some solids again. So I have time to write up my post. It's sadly not April Fools' Day anymore, so no fun pranks for me. How about a brief update instead? 2015 has been rough so far for writing. Last month I did complete some content editing work for Dingbat Publishing, but I haven't made much progress on my own writing. It seems one type of sickness or another keeps waylaying me. And not only me getting sick, but my husband and both daughters. I am ready for winter and germ season to just go away! This month my goal is to work on several short stories. Some just need to be sent back out into slush piles, others need a quick edit first, then there's the ones that need a full revision and another critique, and of course the ones where I still have to finish the rough draft. A lot of stories in a lot of stages! I'd really like to get to the point where I can publish a few more singles and then eventually combine some together for an anthology. Hopefully by the end of the month, I'll have made some progress. My word count meter is just a guesstimate right now. I'll be chanting "No more sickness. No more sickness," for the entire month of April. What kind of short stories would you like to see me publish?